In case you are not familiar with ITIL here are some resources for you to go do your own research. ...but what do you think? 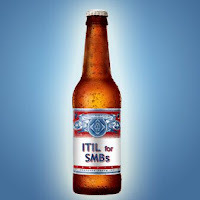 What is your take on ITIL? I am not in the service management business. From the outside it looks like a good idea that people can execute well or poorly depending on their approach and expectations. People who I think know what theya re talking about liken it to Prince2 - it's a set of tools that you pick from as your cicumstances require, but you would rarely implement the whole thing. Additionally it won't cover all circumstances so your skills and knowledge need to be broader than just this framework. What are your views Mr Process Geek?